Jul 03, 2009 in "The Hall of Presidents"
LAKE BUENA VISTA, Fla. – How do you carve out a niche as the principal Disney sculptor when you’re following a bona fide Disney Legend? For Valerie Edwards, director of sculpting for Walt Disney Imagineering, the passing of the tools from the fabled hands of Blaine Gibson has involved the challenge of sculpting the likeness of President Barack Obama. Edwards’ sculpting is for the Hall of Presidents attraction at Walt Disney World Resort, which is being readied for a red-white-and-blue reopening on July 4. 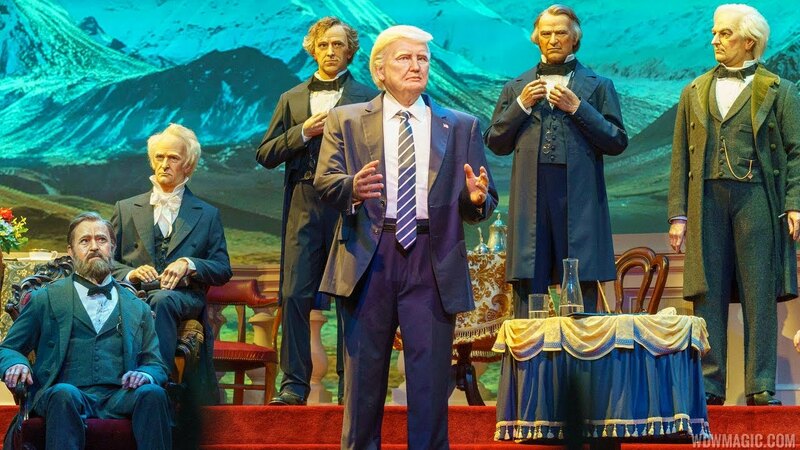 The vintage attraction in the Liberty Square section of Magic Kingdom features Audio-Animatronics likenesses of all the United States presidents. All previous “heads of state” were sculpted by Gibson, now 91 years old. Audio-Animatronics figures of Captain Jack Sparrow and his feature-film nemesis, Barbossa, at the Pirates of the Caribbean attraction in Magic Kingdom. Of her latest project, she comments, “It was a great challenge and, certainly for me, it was time to put my best foot forward. After all, Blaine is a tough act to follow. Obama Delivers – Imagineers agree that the Audio-Animatronics Barack Obama is the most dynamic presidential addition – ever – thanks to new materials and refined technology. 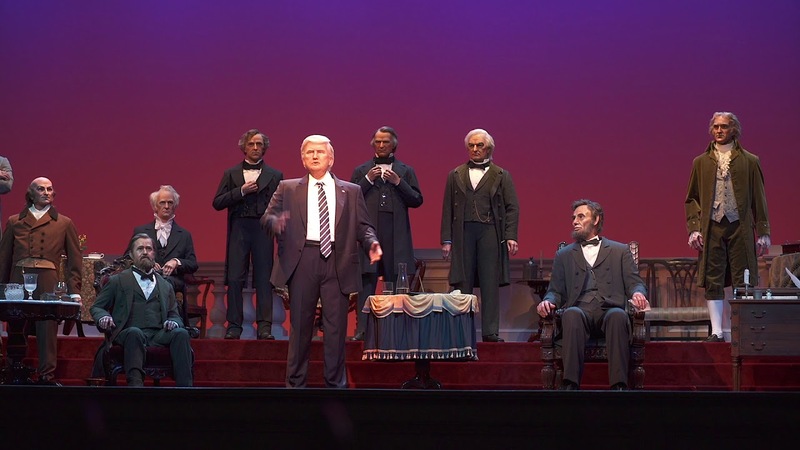 When the Obama figure begins to deliver the presidential oath of office on the Hall of Presidents stage, the array of subtle movements and facial expressions are convincing. And the words spoken by the president – including the oath of office and Obama’s thoughts on “the American dream” – are his own, recorded soon after his inauguration in the White House Map Room.